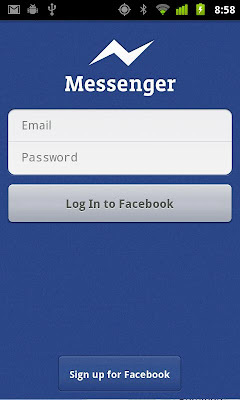 Facebook have today released a new app to the android market, Facebook Messenger. The release of this app follows on from Facebook's acquisition of Beluga earlier this year, which itself was a cross-platform messaging tool. 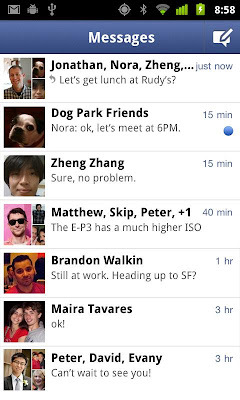 Facebook Messenger seems to be targeted at competing with RIM's BBM service, and also Google+'s new Huddle service. Facebook have an advantage of millions upon millions of users already using Facebook, thus the likelihood that your friends will be available on the service is high. unfortunately the app only seems to be available in America at this time, although you can get the app if you use a tool such as Market Enabler. Get the app from the Android Market here, or alternatively getÂ theÂ APK file directly here. What are your thoughts on this new app from Facebook, and will you be likely to use it yourself?